During week 4 of Term 2, our Primary Campus will be holding a ‘Book Fair’ to coincide with the ‘National Simultaneous Storytime’ (NSS). This will be held on Friday 24 May. NSS is held annually by the Australian Library and Information Association. Every year a picture book, written and illustrated by an Australian author and illustrator, is read simultaneously in libraries, schools, pre-schools, childcare centres, family homes, bookshops and many other places around the country. 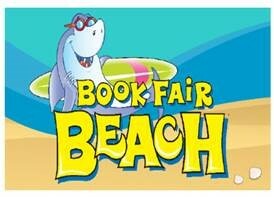 The Book Fair is provided by Scholastic Books. All books available for sale will be set up in the Primary Campus Science Lab for parents and students to come have a look at what's on offer. Books will only be available for purchase on Friday 24 May. There will be amazing brand new books for sale and, in the lead up to the fair, we will run a competition where all cash/voucher prizes will go towards the purchasing of books. If you have any queries, please contact reception on (08) 9295 2688 or email reception@mundaringcc.wa.edu.au.